Today’s Digital Remastering technology makes yesterday look and sound great! DUB CENTER believes that your photo and video collection are precious keepsakes that you would want to keep for the rest of the life. That’s why we’re constantly developing services that allow you to make the most of out digital technology and convert your old photos and videos into the current format. We offer high-quality services at reasonable rates for almost any kind of video transfer job. Trust us to take care of your fragile films and negatives and we’ll give you a professionally-made output that you can enjoy for many years to come. Experience the joy of sharing your memories now! 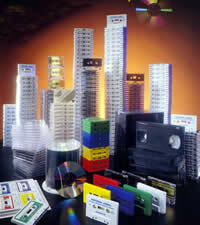 How can you get your videotape professionally transferred to DVD for the lowest price? Try Dub Center’s fast, easy, and economical Video-to-DVD Transfer service. Dub Center offers high-quality video transfer for best results. Dub Center will transfer your existing video directly to DVD in one easy step. Dub Center will encode your video and audio using high quality MPEG-II video compression and create a standard DVD-R video, USA Region 1 NTSC Video Standard, ready for viewing or archiving and most current DVD-R players today. Your new DVD-R master can then be utilized as a DVD duplication master to create more DVD copies. Chapter breaks are evenly spaced every 3-5 min. for even easier viewing fun. 1st Time Client offers - CALL ! Match or beat any price in Springfield ! FREE Pickup and Delivery in city limits on all orders over $100! Drive Up Window & Drop Box for orders! Check Web Site for Monthly Specials!